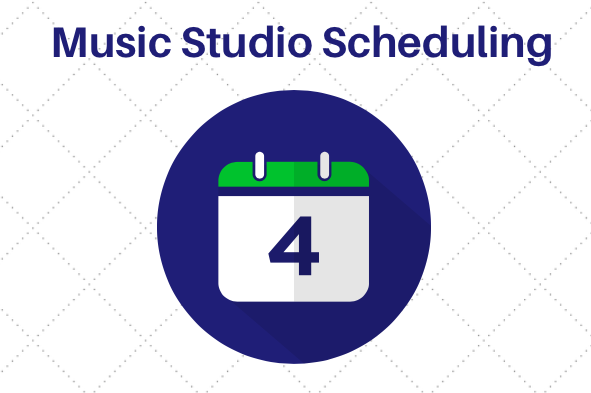 Choosing the right music studio scheduling software for your unique business needs is essential. Implementing the best software fit right from the start will save you a ton of time in the long run. You want the software to be easy to implement, easy-to-use, reliable and you also want it to help you manage and grow your business efficiently. Whether you are trying to find an open spot for a new music lesson or simply finding information regarding a particular lesson the ability to filter your calendar in different ways will make your life easier! The best music scheduling software allows you to view your calendar by month, week, daily agenda, locations, teachers and filter your calendar by student locations and teacher to make it easy to find the information you need. As a business owner, you are most likely always on the go. If you receive a request for something that needs to be addressed immediately you want to be able to access your calendar and business records from anywhere. A great music studio scheduling software needs to be web-based with an outstanding mobile platform so you can access your information from anywhere with internet access. The ability to schedule and edit lessons fast and efficiently is very important, as this is a task you will be repeating many times in a day. Consider a music lesson scheduling software that lets you drag and drop lessons to reschedule, schedule lessons by clicking directly on the calendar and a feature to automatically spots lesson conflicts for you. These features will save a lot of time and headaches in the future. A Repertoire Tracker is a very useful tool for music schools as it allows you to track the music pieces your students are learning along with the performances related to these pieces, giving you an accurate overview of student progress over time. It is important to choose a music lesson scheduling software that allows you to track your business progress and manage other aspects of your business within the same application. Even though most of your business activities revolve around scheduling, you want to make sure the system also allows you keep records such as lesson notes, attendance status, wages for your instructors, student profiles, student progress invoicing, payments and much more. Teachworks is a business management software designed with feedback from hundreds of educators just like you. All the features were shaped to meet the specific scheduling needs of your business. In addition, you can also manage invoicing, customer payments, employee payroll and other aspects of your business all within the same software. Automate your business today and see the results of your hard work happen faster.